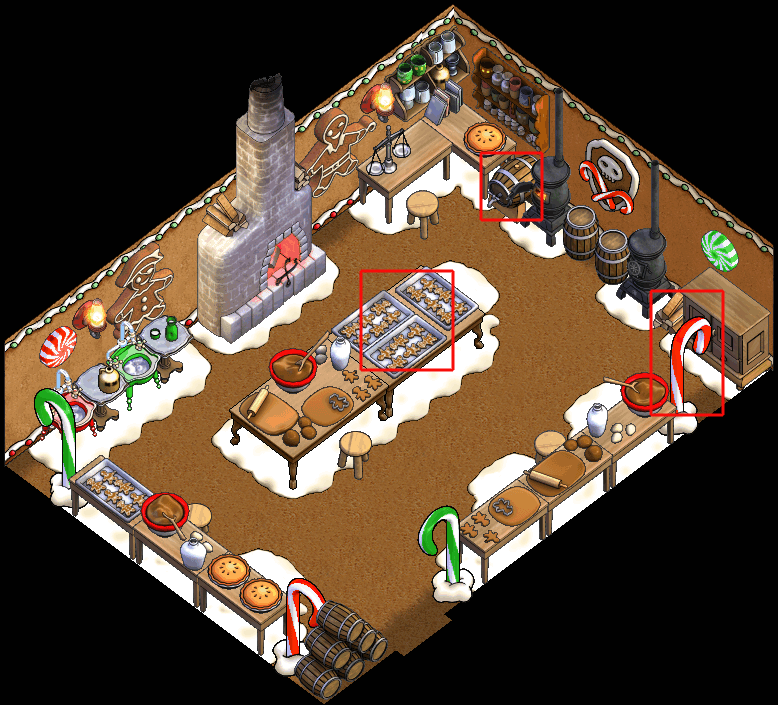 Puzzle Pirates Forums - View Thread - [Event] 2018 December (not) Daily Doodle: Recycled Reconstruction! Winners Announced! Forums » List all forums » Forum: Events! » Thread: [Event] 2018 December (not) Daily Doodle: Recycled Reconstruction! Winners Announced! Did you know? Pirates were into recycling way before recycling was cool. True story! What with all those months stuck on a ship, too busy pillaging gold to bother with the basics. And frankly, it's not a good idea to throw those handy containers, barrels, and whatnot overboard. Best to put them to good use, YARR! So, what does this have to do my doodles, you ask. Everything! I say. Your task, should you choose to accept it, is to create a drawing or blueprint of a recycled item. Something that any pirate worth their salt would use in their ships or homes. The tricky part is that you must use things that can be found in any pirate's ship and that would normally be thrown away. Some examples are: empty rum barrels, empty crates, old quills, parchment, etc, etc, etc. * Come up with a concept that could (in theory) be made from waste found in ships. The idea is to give an old item a brand new purpose! 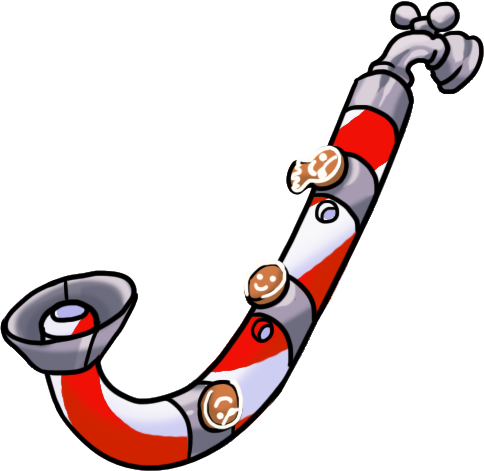 * You can use as many items as you want, as long as they can all be found on a pirate's ship. * 2-D artwork to demonstrate your idea. This could be a blueprint, a drawing or sketch. Use of in-game graphics is permitted. * Come up with a brief paragraph to describe your concept and explain how it works or what it aims to improve. There is a hard limit of 100 words for this. Prizes will be flexible, depending on the quantity and quality of entries. * If you cannot post an image, please post a link to an online hosting site like Imgur. * Design must be original and your own, and not designs submitted to other contests, but may contain in-game artwork. * Double check your entry to make sure your image link works and that you have not exceeded the word count for the description. * You may edit your post up until the deadline. Reserved! Remember, this thread is for entries ONLY. Comments should be in the main thread for December Doodles! After every great battle there will be torn flags, sails and worn out ropes. 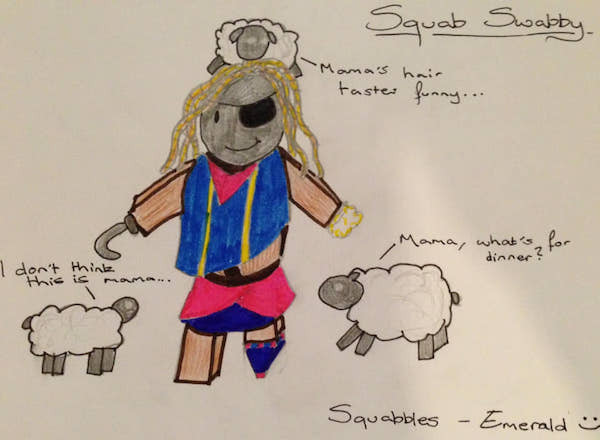 We recycle them by making new pirate clothing! The pirate flag will make a lovely shirt with print, the sails can be used for pants, extra shirts, bandana's and more. Ropes make perfect belts to hold up those pants.. Do not waste this precious cloth. Link to FULL IMAGE for a better view. Ever been invited to a party, a voyage, or any old nonsense but didn't want to be there? Just bundle up a barrel, some wood, some rope and a used cannonball and you'll have your own Squab Swabby in no time! Your mates will never realise it's not you! Your flock of sheep might be slightly sceptical, though... I'm not sure about other pets. It's the holidays- you're excited to break out your Gingerbread War Brig. She's been sitting in dry dock- the warm waters aren't the best for her cookie hull. You wander in to dust off the gumdrops when you find that everything has gone quite... stale. The barrel's leaking eggnog, the gingerbread pirates could break a tooth, and the candy canes are even more rock-like than before . It's sure to play some sweet music to keep your crew in the holiday spirit. first, a little nit picking:"Reuse is the action or practice of using something again, whether for its original purpose (conventional reuse) or to fulfil a different function (creative reuse or repurposing). It should be distinguished from recycling, which is the breaking down of used items to make raw materials for the manufacture of new products." now, my brilliant idea to reuse old items likely to be found on a ship. No more throwing the captain overboard; make reusable irresistible bait! Drill a hole through a coconut, slide it up an old mop handle and tie it on with an old bandana. If desired, mop can be dyed with banana pulp or pomegranate juice. Dress in old clothes,anything will do to decoy a sailor that confuses a manatee with a mermaid, and place in a conspicuous spot. 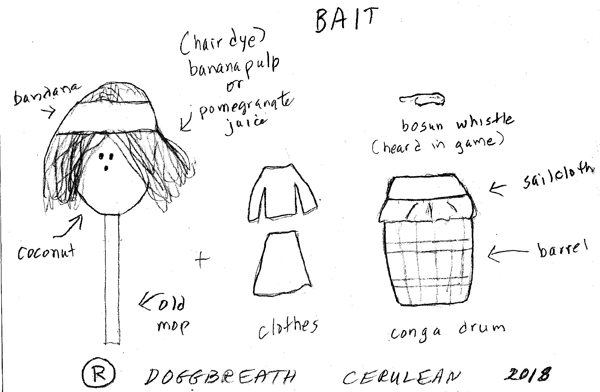 Make conga drums from rum barrels and sailcloth and use bosun whistle to play a good party song. I recommend "You Can Call Me Al." Attacks by lonely brigands/barbarians guaranteed. 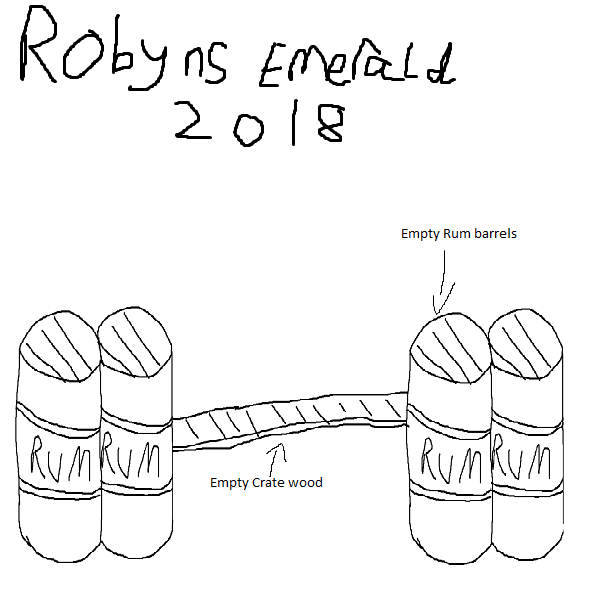 Using empty rum barrels fixed together in this pattern and wood planks from empty wood crates nailed together you can create this "contraption". In theory it should act as a flotation device and could be thrown overboard as something pirates who fall off the ship can cling on to. A few tattered quills, an empty powder bag re-stuffed with the sand shaken out of yer boots, and a healthy imagination, combine to make a lovely new familiar. How to properly upcycle old rubbish! 2. Step Two Head to a famous tailor - Cronus and Sons was my choice, bespoke on your friendly assistant and ask him to prepare the cloth for my one true desire. 3. Wait 48 hours because Cronus and sons labor records are at an all time low with Cronus forgetting how to stitch. 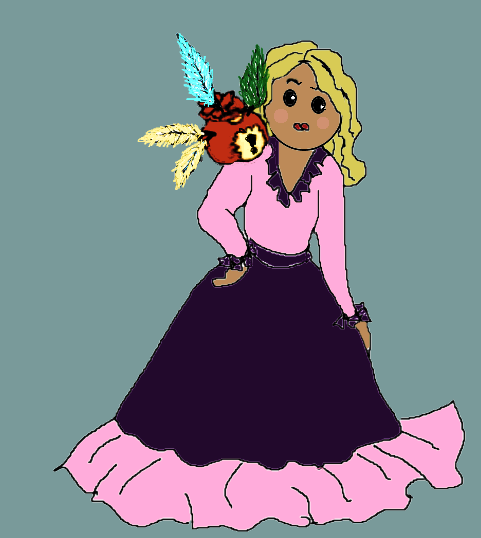 The winner, getting shiny sun points, a lovely fireplace, and an inscribed rose trinket is Herowena on Cerulean! Runner up: Doggbreath on Cerulean, who will receive shiny sun point, an inscribed rose trinket and a Planter of wildflowers. Honorable mentions: Squabbles on Emerald and Cattrin on Obsidian who will each receive shiny sun point and a lovely rose trinket. P.S. Extra shiny sun point to Doggbreath for the very useful clarification!